I have scoured the internet picking todays’s best accumulators to make yourself a very wealthy human being! Although to be fair the chances of that happening is really rather slim, so on a more realistic note I have scoured the internet and have found today’s best bets for a bit of entertainment for today’s Soccer Saturday. 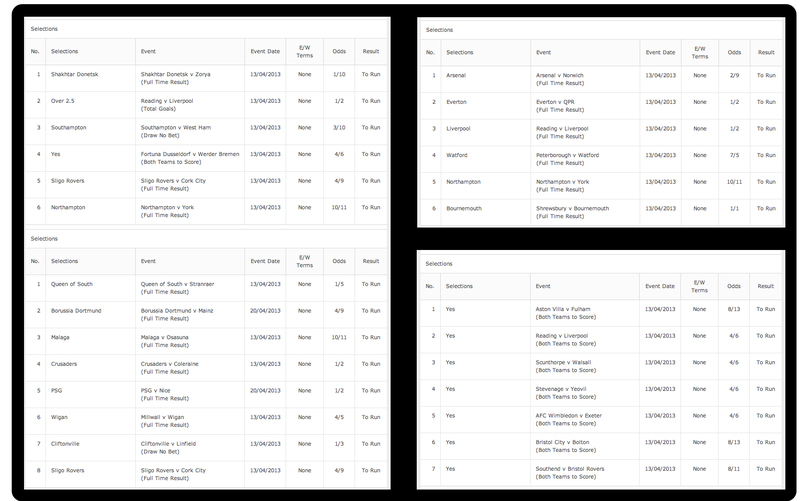 Obviously these bets are pretty long odds accumulators and should be treated as such, just for fun, with great payouts for minimal stakes. Remember ono gamble what you can afford and have a great Soccer Saturday!